With so many craft gins popping up all over the country, it can sometimes become a little overwhelming and a bit too easy to refer back to what you know. Why not mix it up this year and branch out with some new flavours? Here, we recommend 10 different gins to try in 2019. Main Botanicals: juniper, coriander, angelica, black cardamom, orris, freshly forage seat beet, red clover and chickweed. Garnish with: a sprig of thyme and wedge of orange. 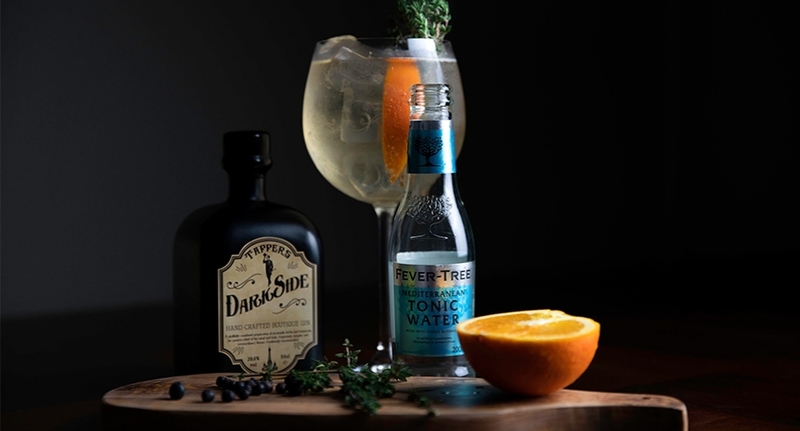 As the tag line suggests, Tappers Gin is ‘inspired by history, hand-crafted with passion.’ As an independent family business, the quality of Tappers Gin is a testament to their strong principles. It is made using natural, locally sourced ingredients, produced in small batches of 40 bottles at a time and it is completely made by hand, from start to finish. 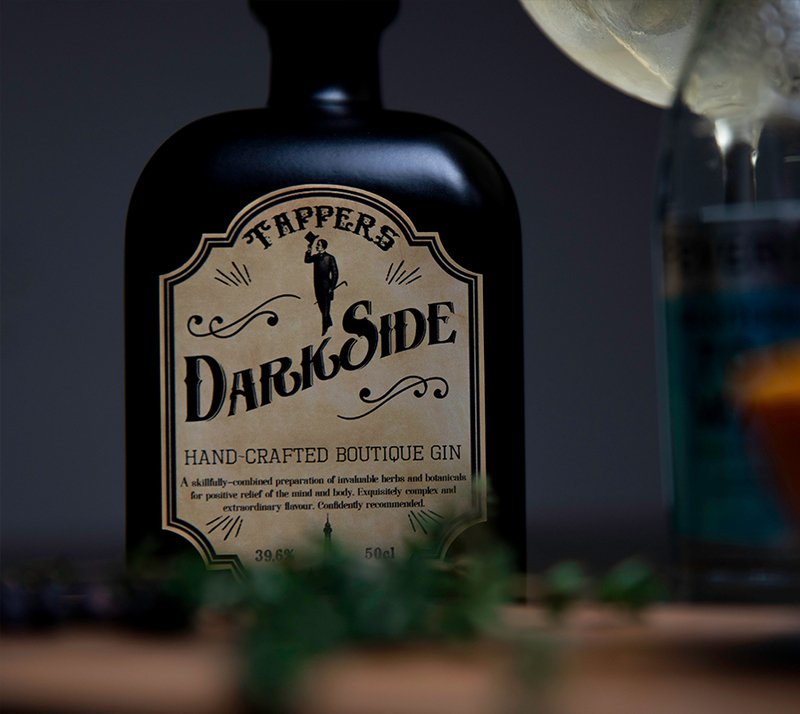 Tappers Darkside gin has been developed to deliver an authentic taste of coastal Britain. Inspired by the British maritime history of the local area. It has warming, herbal notes and is smooth and dry to finish. Main Botanicals: Macedonian juniper, fresh lemon, lime and red grapefruit peels, cardamom, liquorice, cinnamon bark, chamomile, coriander seeds and cubeb berries. 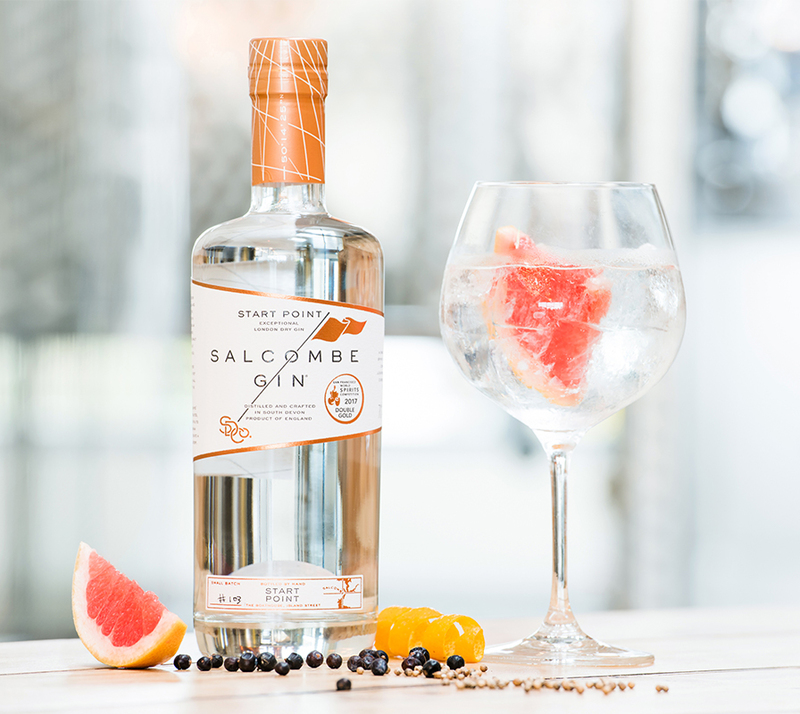 Salcombe Gin has come a long way since founders, Angus and Howard first conjured the idea after finding themselves back in Devon, both enjoying a gin and appreciating Salcombe’s beauty. Fast forward five years and the now well-established brand not only offers delicious gin inspired by the citrus cargoes that Salcombe Fruiters once carried from exotic trading routes, but they have bagged many awards and in 2017, opened their very own Gin School. Main botanicals: juniper, coriander, kaffir lime leaves, cardamom, angelica, lemongrass, cubebs, hibiscus, grains of paradise, lemon peel and orange peel. ice and lime over a sprig of thyme. 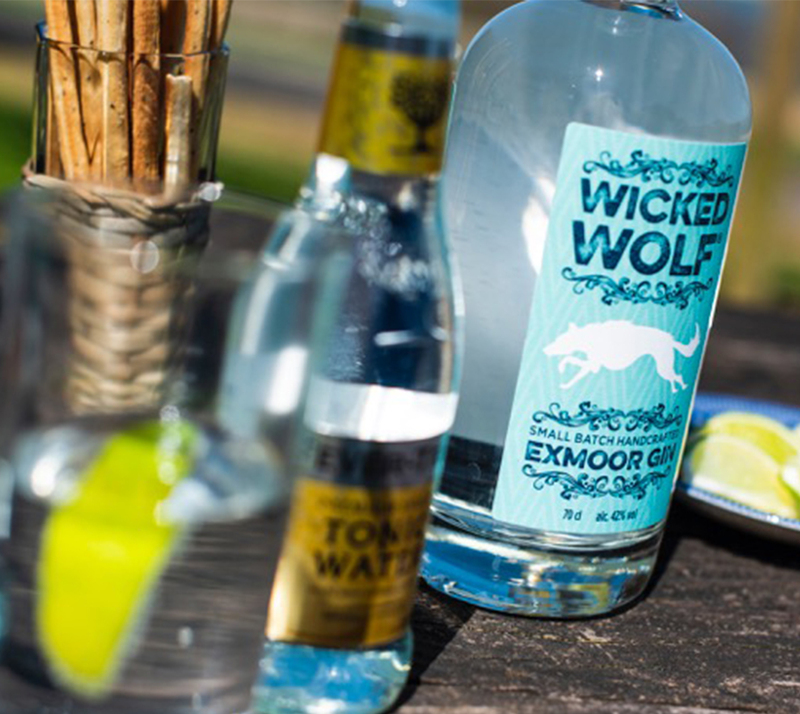 Known as the ‘spirit’ of Exmoor, Wicked Wolf Gin hit the market in 2015 when it was launched by husband and wife team, Pat Patel and Julie Heap. Since then, the brand has seen phenomenal success, positioning itself as one of the country’s best-selling gin brands. Using 11 different botanicals, Wicked Wolf Exmoor Gin offers the flavours of juniper and coriander, with notes of citrus, pepper and the extra aromas of hibiscus and kaffir lime. To ensure every bottle is consistent, the process is completed by hand and the gin is filtered at each stage to produce a smooth, full-bodied and elegant 42% ABV spirit. Main botanicals: handpicked gorse flowers, elderberries, marsh samphire. Garnish with: Fresh orange wheel. The launch of Conker Spirit was a risk. Chartered Quantity Surveyor, Rupert, gave up his career to try his hand at making gin and launching Dorset’s first gin distillery. Six years later and was the journey worth it? 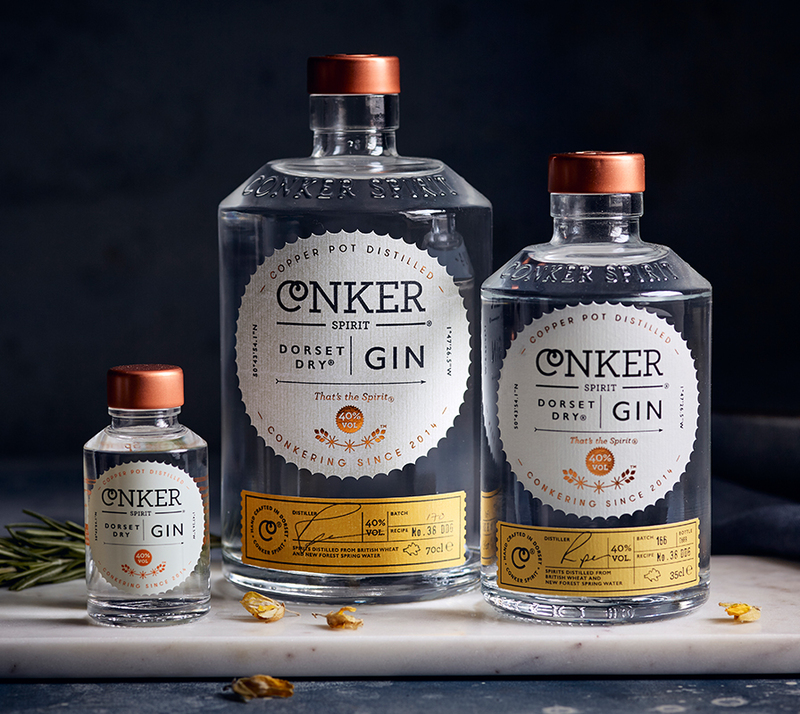 Not only do we think Rupert would say yes, but anyone who tries Conker Spirit Dorset Gin will too! Read about the journey - it was a fun one! Described as ‘well-balanced and Juniper-led, but with the bright and refreshing Dorset notes of elderberries, samphire and handpicked gorse flowers' - simply refreshing. Main Botanicals: juniper, coriander, angelica, cassia bark, liquorice, orris, orange and lemon peel. 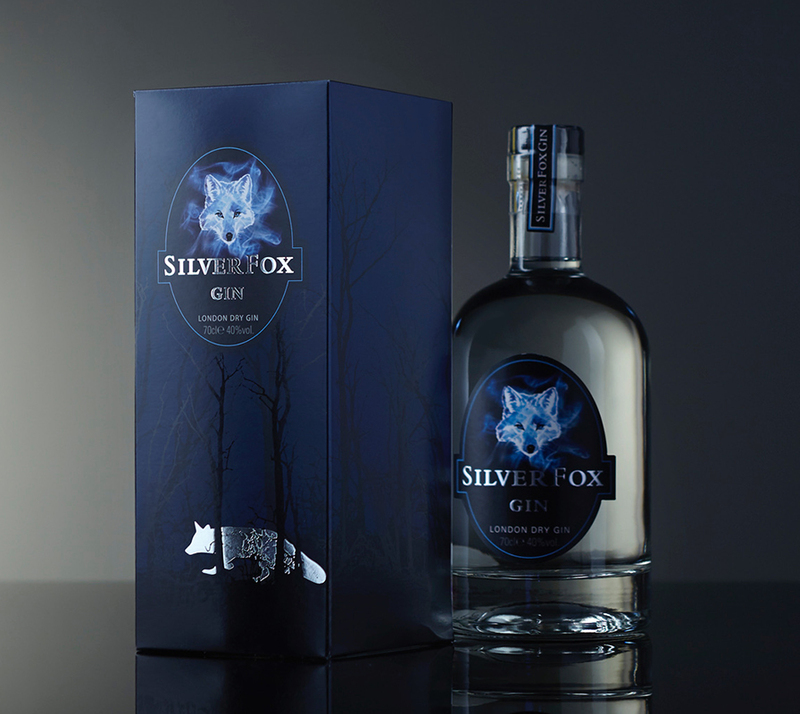 Silver Fox Gin was created when founder, Tony Holdsworth, combined two of the things he knew best, gin and rural England. After 35 years working outside, he used his experience as the inspiration behind Silver Fox Gin Using the scents and properties of the natural environment, Tony created a gin that combines aromatic and savoury notes with mellow citrus tones. Distilled five times, it has a pure taste which offers a balanced palette and smooth, creamy finish. Main Botanicals: juniper and 3 undisclosed botanicals. Garnish with: basil leaves and grapefruit, raspberries and cucumber, rosemary, blackberries and ice. See all serving suggestions. Described as a ‘classically styled London Dry Gin with pronounced citrus’ by Difford’s Guide, Old Bakery Gin offers the flavour of faintly sweet lemony citrus and dry piney juniper with woody nutty notes and black pepper spice. How good does that sound? The brand was launched by Ian Puddick, a jack of all trades, following an intriguing discovery about a run-down building he had recently purchased in Palmers Green. Research revealed a fun fact, over 100 years ago the old building that was once a bakery, had been used to illegally make gin. A gin lover himself, Puddick eventually recognised the huge opportunity that he had stumbled upon. He went on to research the original bottle and recipe and recreated the flavours to create a now legal gin brand with an exciting history. Main botanicals: Elderflower, Gorse Flower and Sea Radish. Ironically the inspiration behind Fort Gin is actually rum. Founders, Vince Noyce and Giles Collighan, also run the Rum Club but with a general passion for the artisan spirit movement, they decided to branch out and create a world-class gin for Plymouth to call its own. Vince and Giles, both former Naval Officers, teamed up with an alcohol industry professional, Dich Oatley, to deliver a gin that makes use of the natural botanicals growing on site at Fort Cumberland – celebrating the maritime heritage that the founders are passionate about. 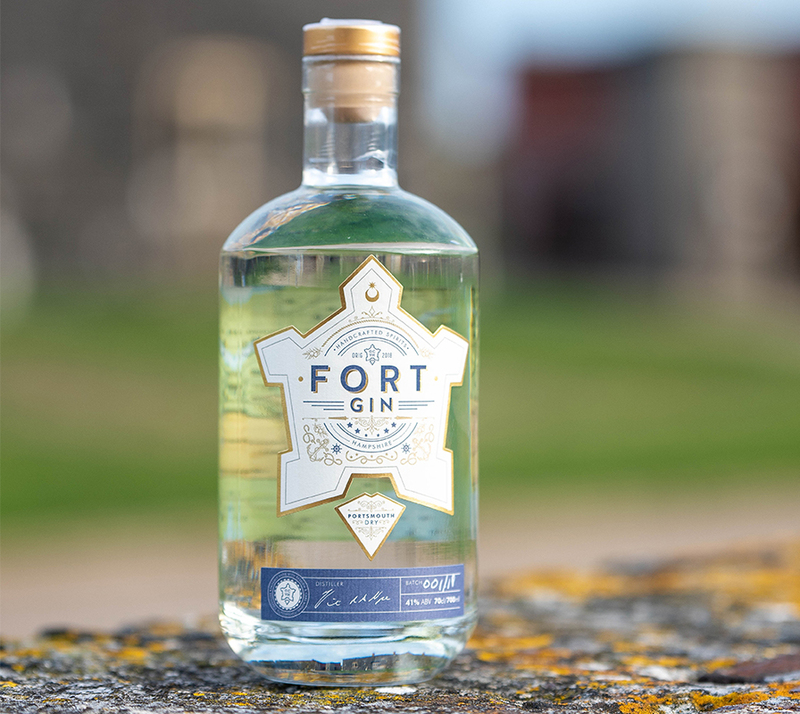 Fort gin is described as: an intricate mix of rich full flavour, with a lovely floral bouquet. It is silky smooth and warming as you swallow. Main Botanicals: Bosnian Juniper berries, liquorice root, cassia bark, orris, bergamot, rose petals, kaffir lime leaves, linden and elderflower. Garnish with: A twist of orange peel. Silent Pool’s signature gin is made with 24 botanicals to produce a romantic, complex flavour that combines floral and citrus notes with those that are earthy and spicy. The smooth finish is delivered with the use of local honey. Silent Pool takes its name from the unique location of its distillery, on the banks of Silent Pool on the Duke of Northumberland’s Albury Estate. A group of farm buildings have been renovated into a sustainable business, kitted out with a vintage wood-fired steam boiler which was restored to power the hand-built copper still. The brand is the vision of a group of friends who wanted to create a handcrafted, artisan spirit that was sustainable and did not compromise on quality. Main botanicals: juniper, angelica, coriander, hibiscus and birch. Brentingby Distillery is located in a charming hamlet near Melton Mowbray in Leicestershire, from which it takes its name. 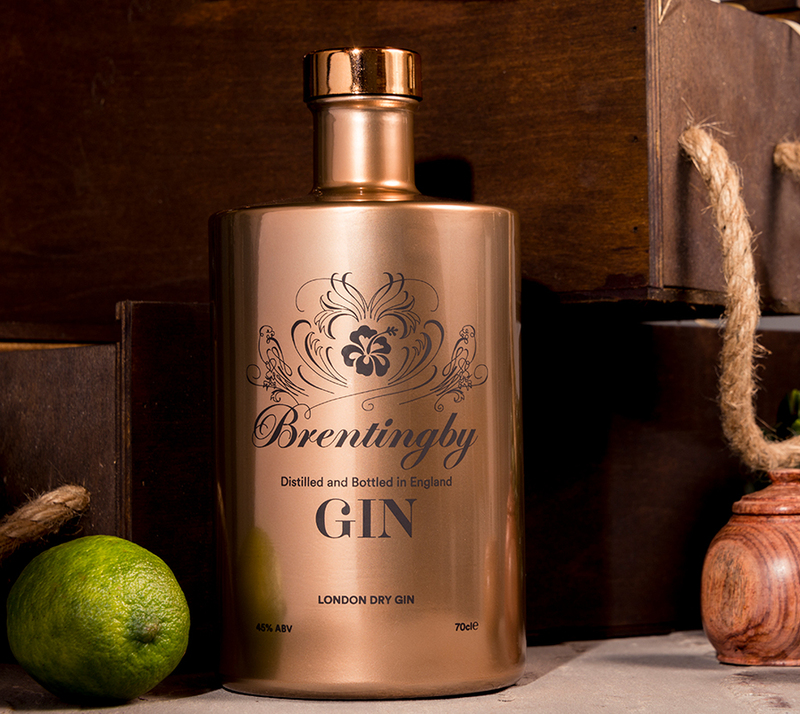 Founded by South African, Bruce Midgely, Brentingby Gin combines contemporary with tradition to create a modern gin. He uses a 10-plate copper column still that he designed and made, called Ayanda, which means augment and proliferation. In order to become the craft gin maker that he is today, Bruce learnt the tricks of the trade from world class master distiller, Tom Nichol. Brentingby Gin itself offers a strong leading flavour of juniper. This is combined with crisp citrus and zesty notes, a subtle floral flavour and a certain sweetness. Main botanicals: juniper, mango, pineapple, marshmallow leaves. Garnish with: A twist of lemon peel or a wedge of lime. 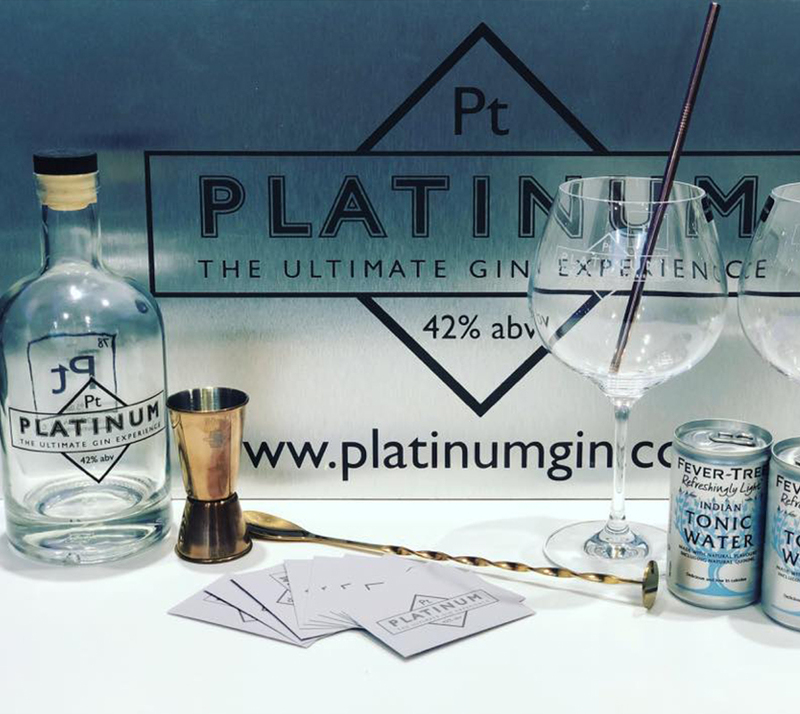 Fairly new to the gin scene, Platinum Gin was launched in Plymouth earlier this year. Inspired by years of gin drinking, it fills a gap in the market by producing a light, crisp refreshing gin with a moreish appeal to it. Platinum Gin themselves recommend serving with 25ml of Fever Tree Light Tonic over ice, in a Dartington Copa Glass (pictured to the right.) This serve will encourage hints of mango and pineapple in the middle of the gin. One of its biggest appeals is that each single measure equates to roughly 45 calories, making it a go-to for calorie counters. Now you have some new gin brands to try, why not sample them in style and give your gin glass collection a refresh? From classic Copas and highballs to something a little different, like our Gin Connoisseur collection, we have plenty to suit all styles.